I am reading Charles Baudelaire, Paul Verlaine, Victor Hugo and Paul Eluard because I am interested in the surreal, the symbolic and the sublime as romantic concepts that displace and liberate the word from a human preoccupation with living and dying. 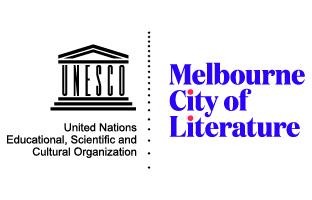 Contemporary French authors such as Michel Deguy, Philippe Beck and Jude Stefan transcend these concepts a little further and ‘follow’ language, allowing the word to ‘say’ rather than be ‘said’. Comments such as these can be insightful or instructive avenues into reading the poetry, but they can also place a burden on the work. I raise this because in reading Lilies and Stars, it is difficult to see the influence of the poets raised in the interview. And I say this not necessarily as a criticism, but simply as an observation of the disconnection between the poet’s conception of influence and its realisation in the actual poetry. Worth noting, of course, is that the commended ‘Mirror and Girl’ appeared in Law’s first collection Offset, also published by Picaro Press (2012). As Lucy Dougan notes in her cover blurb, poems from this debut title ‘make the world up with a kind of restless verbal energy’; indeed, many of these works are playful and surprising in their observations and delivery, as a number of lines and images from ‘Mirror and Girl’ might attest. So, what of the book at hand, Law’s subsequent collection? 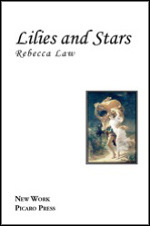 The title itself, Lilies and Stars, gives the reader some indication. There is a contemporary romantic sensibility at play here, and one in which romanticism is not treated with any ironic kind of distancing. Perhaps I am one of the ‘dourer, more secular’1 readers Geoff Page refers to in a review for the Australian earlier this year, but I have trouble finding lines such as ‘the perfume is intoxicatingly beautiful’, from the poem ‘Braids, Snow and Clouds’, especially convincing. The wind, river water and motifs of weather and season make many appearances in ‘Braids, Snow and Clouds’, and indeed in Law’s collection, as do colours and pitch: jade and the ‘very green’, violet, cobalt blue and ‘steady blackness’ preceding a storm. At times diaristic in quality, ‘Braids, Snow and Clouds’ offers moments of fragmented narrative in which conversations, observations and glimpses of place are built up and broken down, and earlier lines or recollections are refuted or contradicted. The poem’s speaker asks someone present or absent, real or imagined: ‘Do you wear pajamas? / I do not wear pajamas. // Do you think love is about pajamas? / I do not think love is about pajamas’. By the poem’s end, the presence of a friend with whom the narrator has watched a storm, along with a dialogue about a predilection for dressing gowns, seem to have been recalled and revised. ‘Braids, Snow and Clouds’ also offers brief portraits of familial history and identity: ‘My mother was an ice-skater. I think often of snow’. Snow and a European winter appear again in ‘O Tannenbaum’, a poem which, through its interplay of likeness, distance and absence, catalogues Christmas trees in, respectively, a hotel foyer, monastery and villa. Observing the latter, still in need of ‘tinsel, baubles, angels, / stars’, the speaker notes with unabashed sentimentality: ‘It will be the same / as your Christmas tree; // and despite geography / I can still blow you a kiss’. Law’s work displays a tension between romantic underpinnings and a desire to push the boundaries of the romantic lyric. 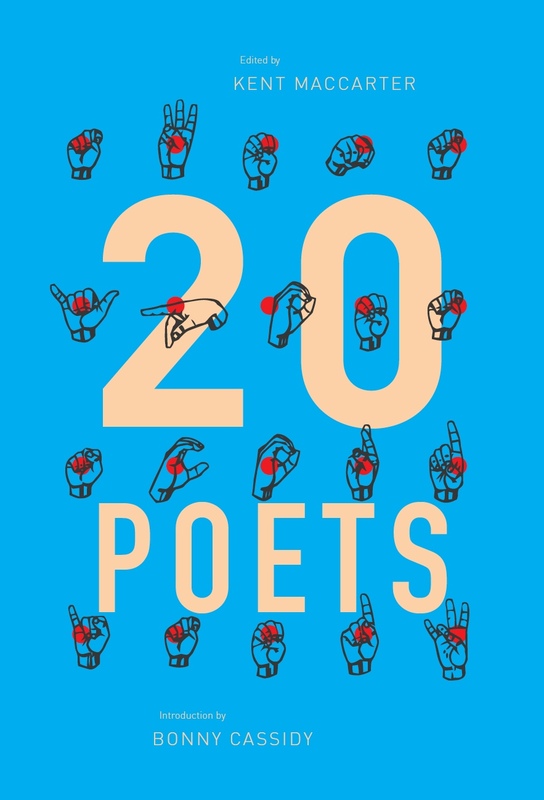 For this reviewer – perhaps too for other readers – it would be interesting to see Law pursue her French connection further, to delve into the challenges of the poetics of the poets she cites as influences above. This entry was posted in BOOK REVIEWS and tagged Jo Langdon, Rebecca Law. Bookmark the permalink.